Our team is honored to make a difference in the lives of others and has the highest standards for quality care with a compassionate touch. 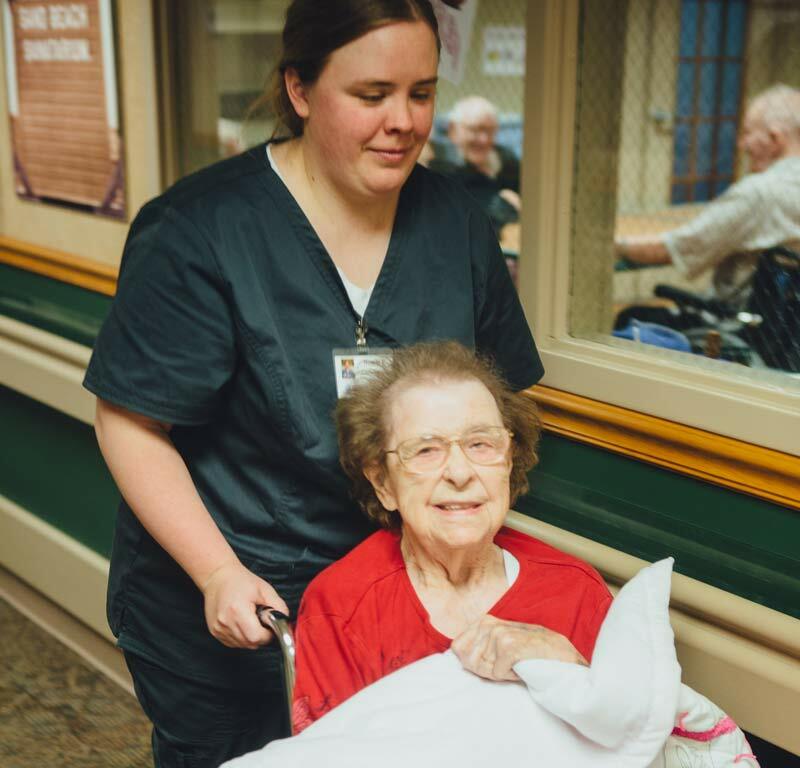 Sunnyside is proud to offer a diverse array of employment opportunities, from nursing and direct care roles, to life enrichment opportunities, as well as positions in housekeeping and dining services and administrative support. Our small setting allows our team to truly understand and care for our residents in the best way possible. Not to mention, our view of beautiful Boyer Lake cannot be beat. Are You Interested in Working at Sunnyside?